Sure, I could make a career out of TPOM hoaxes, but I prefer to concentrate on those that get a lot of play. The only authentic-seeming aspect of this clip, titled New Stealth TR-3B!! UFO Sightings ET Craft Or Military Florida Coast is the ambient sound, which gives a good impression of a woman squealing in wonder on a windy day. Blake’s intro focuses on the supposed videographer’s shaky camera work, so right off the bat I knew what to focus on. Of course, it paid off. A redditor mentioned that I may be inadvertently teaching hoaxers how to make better product. There are two reasons I believe this is not cause for concern: first, because of the time constraint built in to the Speedebunking format, I always hold a little something back. Second, if these people were smart or talented enough to learn from their mistakes, they’d actually be working on legit shows instead of making worthless crap for Youtube. 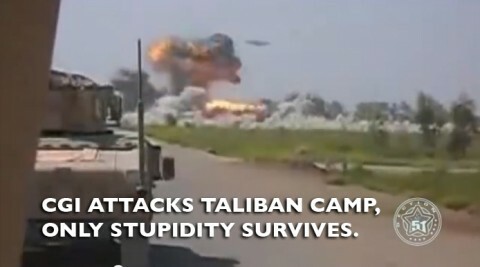 I’m pretty comfortable that hoaxers won’t be able to create clips that can’t be blown up. 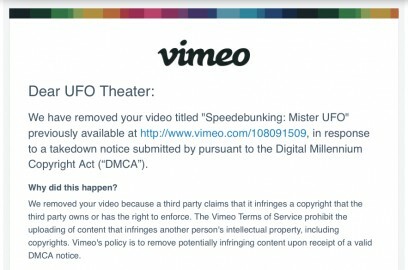 The video was taken down for a while until it wa cleared of a copyright complaint asserted by Mister UFO/Mister Enigma. 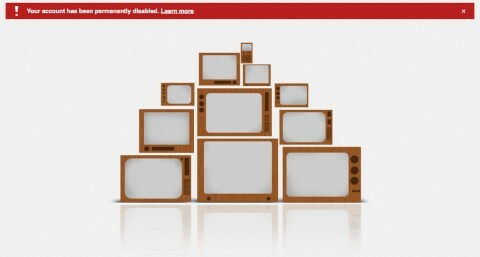 Click here to see how this happened. Mister UFO/Mister Enigma brings you a world where nothing is real, and isn’t Strawberry Fields. The video “Incredible TR3B UFO Video Over Eau Claire, Wisconsin Discovered” is somewhat of a unique achievement in the hoax world, in that most shots incorporate a live action background with a fake UFO. This clip goes all the way, the “false monty” if you will.